Cibelli’s Pizza was the project of Frank Cibelli, who was born and raised in New York City. Growing up in New York there was nothing Frank enjoyed more than a fresh, hot slice of pizza, but after moving to Oregon, he realized that his options for acquiring a fine slice of pizza pie were quite limited. He decided to open his own pizza restaurant at the original Tumalo location and serve the best pizza possible, a restaurant where the art of tossing and spinning pizza dough would be celebrated. After being open less than a year, the demand was enough to allow him to open a second location. Today, you can find Cibelli’s Pizza on Bend’s west side, east side and south end, one more in Redmond and even a couple over the mountain in Corvallis, OR. Frank has always said, “Take care of the people, and the people will take care of you.” It’s still a family owned restaurant and their 24″ GIANT pizza may not fit in your car (for reals, plan accordingly). 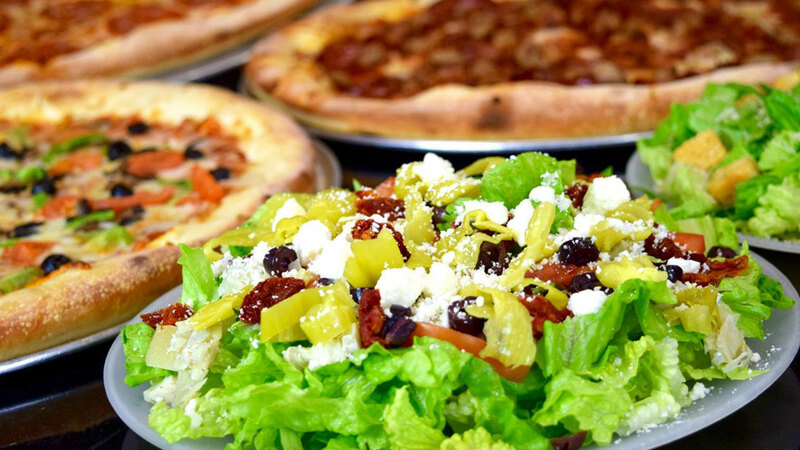 They’ve got a good ‘slice, salad and soda’ special, they’ll do custom slices and their salads are better than most pizza joints serve.